As was mentioned in an earlier post, the Archdiocese of Philadelphia runs a program that makes available to other churches a wide variety of items from facilities that have closed within the Archdiocese. 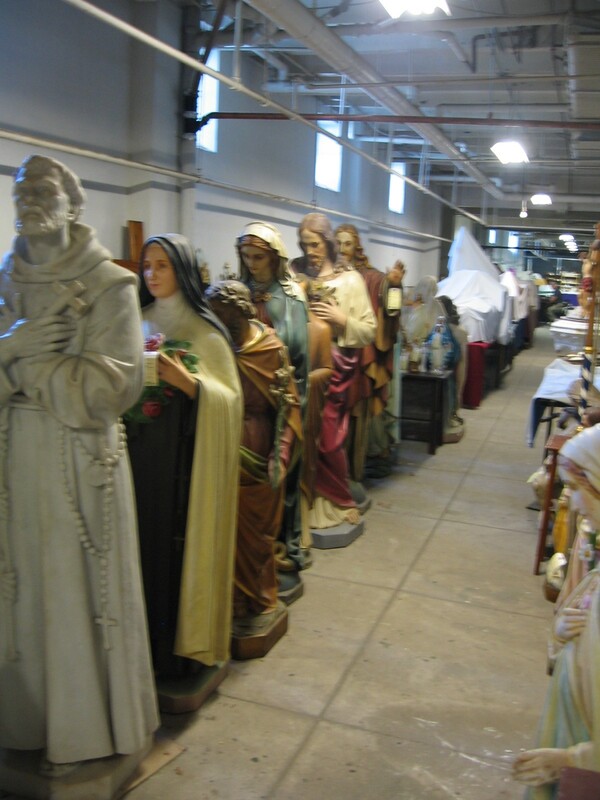 Available items range from vestments to statues to liturgical furnishings. I spent the morning there Wednesday measuring up pieces of a set of liturgical furnishings that had been removed from St. Justin Martyr Church. 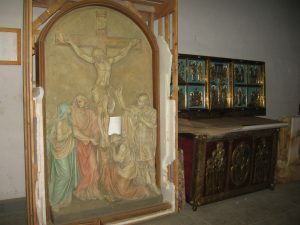 The set has been purchased by a church in northern New Jersey and I am working on the design of the modifications for their church. There is always much to see here but there were a couple of particularly impressive pieces I thought I would share here. 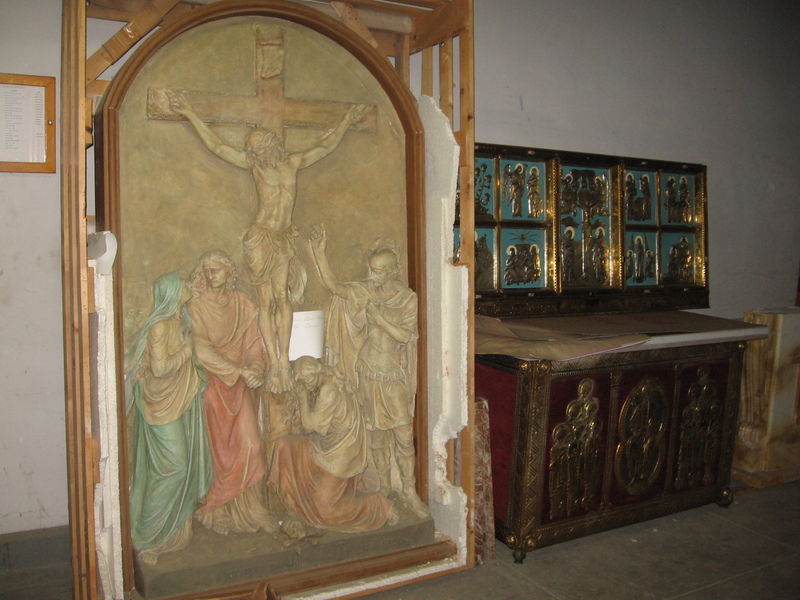 The photo on the left is of a large plaster bas relief of the crucifixion. Also notice the intricate bronze work on the pieces to the right of the bas relief. That’s red velour on the altar sides. On the right, what appears to be a gospel book cover is in fact a large wall hanging, primarily in bronze. I estimate the size at about four to five feet square. 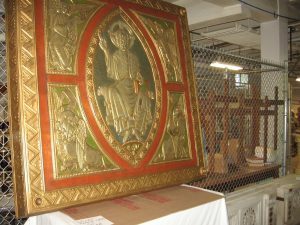 I have been incorporating salvaged liturgical items into new or renovated churches for almost 30 years now, starting with the Helderberg Reformed Church in Guilderland Center, NY. If you would like ideas on how to reuse salvaged furnishings or artifacts or would like more information about the Ecclesiastical Exchange program, please feel free to contact me anytime.